If you are in the process of planning a vacation to Morocco for Spring 2010 or a Morocco tour, then it is important to have your finger on the pulse of the best restaurants and haute cuisine in Marrakech, Fes and Essaouira. 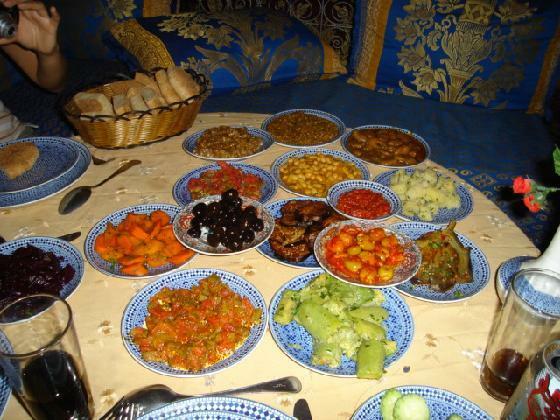 Eating in Morocco is an experience that is second to none when Moroccan travelers pair their choice of a Morocco Travel agency with a uniquely Moroccan dining experience and stay in Moroccan Riads or Moroccan Hotels that have been hand selected by Moroccan Travel Specialists. When traveling to Morocco why not ask the experts of Morocco Travel and you will then be guaranteed to discover the best of Morocco. Since the early 1990’s Marrakech, Fes and Essaouira have expanded their offerings for foodies and today some of the best cuisine in North Africa can be had in the red city of Marrakech, Fes, a UNESCO World Heritage site or the seaside city of Essaouira. Marrakech, Fes and Essaouira boast delightful restaurants, professional chefs and haute cuisine that mélanges French and Moroccan traditional cooking styles plus and an atmosphere to boot that is uniquely Moroccan. Moroccan Modern cuisine is in vogue. If you are planning a Morocco vacation it is best to hit the ground running in the food category and come prepared to eat three and four course meals that are always complimented by fresh mint, Moroccan sweet and nutty deserts along side some of the best Moroccan wine and Moroccan beer, home to Morocco’s Imperial city of Meknes. They say, “when in Rome, do as the Romans” so at Travel Exploration Morocco, we say “when in Morocco, do as the Moroccans.” The best Morocco travel agents will always provide you with a detailed list of Moroccan Riads, Moroccan Restaurants and Morocco Siteseeing excursions that tempt the senses and offer exploration of mind, heart and pallet. This majestic Moroccan restaurant that overlooks Djemma El Fna Square is the best place to eat if you want a full view of the Djemma. Le Marrakechi has reasonably priced Moroccan cuisine for the large portions they provide and boasts and atmosphere that is filled with charm. Step into Le Marrakechi and you are led up a stairway this is covered with rose petals onto an open floor plan that is surrounded by traditional Moroccan zellij tile and has floor to ceiling clear, glass windows that abut each corner offering the clear view of Djemma El Fna. The service is spectacular as is the bellydancing show that is gratis to all those who come to enjoy Le Marrakechi. Le Tanja is a stylish brassarie in the old medina and has excellent tajines, couscous and fish dishes. The serene, elegant rooftop terrace with beautiful rose-filled fountain is a great place to relax at sunset with views over the ancient alleyways. Jad Mahal is a combination of bar, restaurant and dance complex. 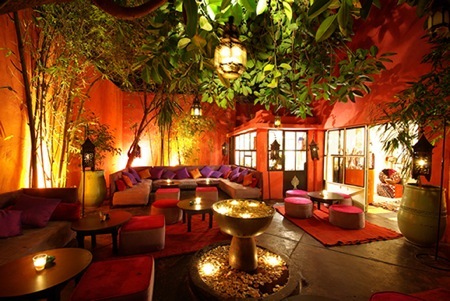 Since its opening in December 2003, Jad Mahal has been a hit amongst travelers and hip young Marrakech’s and is a trendy addition to the Marrakech nightlife scene. Located just outside the old city, Jad Mahal boasts and elegant courtyard with two dining rooms, with a blend of Indian and Moroccan Décor. This is one of the best places to eat in the Marrakech Medina with lovely staff and a romantic and chic vibe. Guided by men in cloaks and a lantern, down a dusty alley, you’ll find this chic purple-hued dining den:a riad eatery with a cosmopolitan feel, good cocktails and excellent Moroccan/Mediterranean fusion food. Ask for a table along the railing for the best views or up on the roof terrace in nice weather. Le Fondouk is a funky place to dine with a mixed menu of French and Moroccan cuisine served on three levels. This is the place to go for Palace style dining. Ignore the fact it is a tourist haunt and enjoy a full evening starting with drinks on the roof, appetizers served around one of the many grand fireplaces, before you descend to one of the glass walled dining rooms over- looking the pool courtyard. You’ll be seated along a banquette with a 5’ diameter table which will be piled with an astounding amount of food while being entertained by traditional Moroccan music. This place is all about the architectural wow factor. Le Comptoir is a hot sport for pre- or after dinner drinks- and dinner. It has both an upper level and lower level Soho style bar and a simply arresting belly dancing show, compliments of the owners. It is a favorite stop for Marrakech Film Festival luminaries and has extremely delicious cuisine that mélanges French- Moroccan style. Kamal Laftimi (is a smart young Moroccan who started out with a small riad, Tlaata wa Sitteen. His Café des Épices in the heart of the souks is now an obligatory stop for anyone in need of a light lunch and the Terrace repeats the formula with laidback seating in open-sided booths, cool music and big views.This time he has added a good all-day Franco-Moroccan dining menu.Specialties include salads and grilled meat and fish, and there is always a range of fresh juices – orange, of course, all year round, and whatever else is in season.Young expats not normally seen on this side of town can be found lounging on the banquettes, while an increasing number of foreigners in search of a quiet moment in the souk are making their way up the stairs to this rooftop hide-away. No Liquor. Palais De Fes serves authentic Moroccan cuisine, considered among the best of the best in Fes. Located in the heart of the medina, the restaurants terrace offers stunning views of the winding streets. A must is this restaurants pastilla (pigeon pie) which is a tender meat soaked in aromatic sauce and layered with vegetables, raisns and local spices beneath a pastry crust sprinkled with connamon and sugar. Dar Roumana means House of Pomegranate. 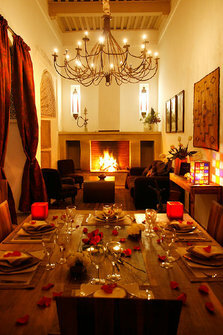 This Riad and restaurant offers creative Moroccan cuisine by a French-trained chef who is an American, Jennifer Smith. The restaurant is located in a beautiful Riad and Smith offers a combination of Fassis and Modern Moroccan cuisine with French twist. Reservations are required. La Maison Bleue is one of Fes’ oldest and most stylish traditional Moroccan Fasis restaurants. Couscous, Sheep Brains, Fasis Salads and Pastilla with Powered Sugar are offered at pre fix or ala carte while you sit surrounded by zellij tile, vaulted ceilings and are serenaded by Gnaoua Music. This is a modern Moroccan restaurant located in the ville nouvelle, new city of Fes on Mohamed V. It offers Moroccan and Continental Cuisine. Their fish dishes, salads and selection of wines are a nice compliment to the typical Moroccan cuisine if you are spending several days in Fes. This restaurant offers stunning views of the sea and is just a ten minute walk towards the end of the seaport in Essaouira. Chez Sam offers excellent seafood for the value. They are one of the more reasonably prices seafood restaurants in town. The staff is very friendly and they offer wine to compliment the variety of kinds of seafood served. Chez Sam has both an upstairs area to dine which enables guests to enjoy the views of the sea. Elizer, pronounced Elixer is one of Essaourias best restaurants. This 60’s retro style restaurant has a reputation that keeps on moving. With its stylistic modern- Moroccan cuisine and décor, Elixer is sure to leave you with a most memorable dining experience during your stay in Essaouira. Le Sirocco is a well-established Franco-Moroccan restaurant in Essaouira. It is a reliable favorite of returning tourists and local expats alike. Prices are a bit higher than most other restaurants in town, but well worth it. The owners are French and the food is simply delicious. Le Sirocco offers the standard Moroccan fare in addition to specialties such as dark chocolate molten cake and excellent fish dishes. 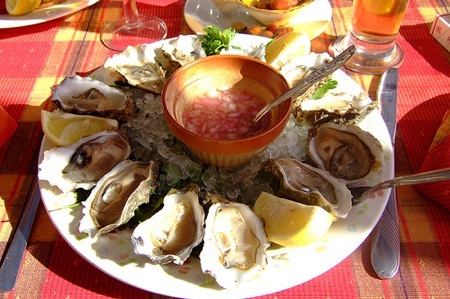 Le Chalet de la Plage is a beachfront institution in Esaouira that has some of the best seafood in town. Built entirely of wood in 1893, the restaurant is in its fourth family of proprietors, the Jeannots, and the dark, maritime-theme interior is adorned with pictures and mementos of a past guest list that includes a French president and Hollywood movie stars. Diners feast on items from a French-language menu that offers Oualidia oysters, shrimp, calamari, lobster, and a wide selection of line fish. There’s also a small choice of other meats, soups and salads, three-course set menus, and Chez Jeannot’s suggestions du jour. A well-stocked bar is complimented by a select wine list, chosen by local vintner Charles Melia. 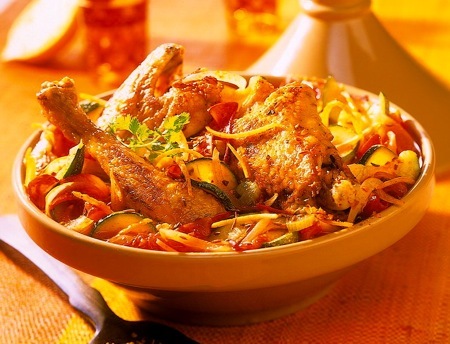 You are currently browsing the archives for the Best restaurants in Essaouira category.